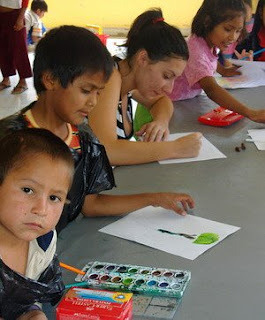 Missions activities for any time, any place, and any season! Check out Zowie! 200+ Ministries Kids Can Do. Written with short-term, long-term, and one-time activities in mind, Zowie! includes encouraging testimonials and project ideas to help kids minister to the needs of their communities throughout the year. Reproducible appendixes carry Bible verse cards in English and Spanish, patterns, recipes, and contact information. Take a missions journey to Venezuela! 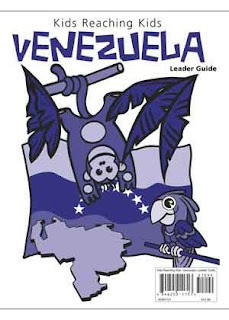 WMU’s new “Kids Reaching Kids: Venezuela” resources feature session plans, games, crafts, stories, and more to help leaders teach about how kids in Venezuela show God’s love to other kids. Designed for leaders who need material to plan a special missions event for children. Khao Lak International School opens in September, 2009 promising students an excellent standard of English education, and teachers a package better than many TESOL programs in Thailand, plus subsidized housing, an amazing opportunity to serve in this rather unreached place, and other fringe benefits just as clear as the Andaman Sea. Hearts Burning: There is a natural tendency among those who know their Bible well to read the narrative safe in the knowledge of how the story ends. or call 1-800-892-3356 or 972-708-7343. All nationalities are welcome. 10) Get Your Item Published *Now*! 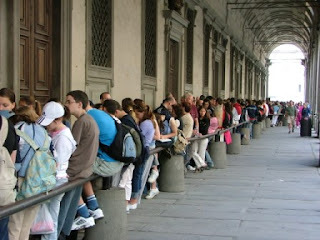 Our queue is lots longer than the number of items we can publish weekly. We do eventually publish all items, regardless of sponsorship. However, those who pitch in to help cover Brigada’s expenses are treated with special dignity — because they’re helping pay the bills. We bump them directly to the head of the line. All of which means… if it’s Friday and you send in an item with a gift, there’s a good chance your item might be featured as quickly as 48 hours later (the following Sunday). 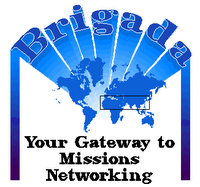 Just follow the instructions for submitting an item (at our website, brigada.org, by reading the guidelines when you select “Submit an item”), then click on one of the “Donor” links at the top of this page. Both are safe, the one with PayPal and the other with one of the most well-known “real” online merchants on the web. Neither requires you to open an account with anyone … and neither ever spams you. Or, if you prefer, just send an old-fashioned check payable to Team Expansion to: Team Expansion (Brigada), 13711 Willow Reed Dr., Louisville, KY 40299. (Team Expansion is a 501(c)3 incorporation so for USA citizens, your checks made out to Team Expansion are tax-deductible.) How much should you give? We’ll leave that up to you. Basically, any amount gets you bumped to the front of the line. Obviously, the more you give, the more thankful we are. And thank you in advance for helping. For those who experienced events spawned by the AD2000 & Beyond Movement, we are now nearly ten years removed. (AD2000 & Beyond decommissioned itself intentionally at the close of the decade.) Maybe it’s a good time to again assess the success of the effort. I can definitely tell you that there was a surge of momentum, but the question is, did the momentum help you in your projects and your mobilization? Certainly, there was more press for the 10/40 Window and the world’s unreached peoples. Do you feel that this paradigm still works for you? … or have you pretty much laid aside the whole 10/40 Window model anyway? The newest kids on the block are Community Health Evangelism (CHE), Storying (Orality), and wholistic ministry. How have you meshed these ideas with unreached peoples. Is your organization still even focusing on the concept of unreached peoples? … or have you embraced another model? We’d love hearing the truth. Feel free to speak anonymously if you desire. Just click the word “Comment” under this item as it appears on the web. Let us know what’s happening in your neck of the woods. And thanks in advance for responding! DISCLAIMER — We can’t screen ’em all. Please forgive us if aparticular site contains offensive information — or no information at all! We try to visit them in advance, but often write “on the road”so we simply can’t preview everything.